Holy crap, that’s awesome. For awhile, I’ve needed to maintain a small amount of information, but have the wiki-like capability to revert to previous versions, if required. This will do the trick perfectly! This sounds like a cool feature. However, for myself, the most important option would be the possibility to turn it of. Now that’s what revions should be like! This is a really cool update! 😀 thanks for the info! WordPress takes another step towards being a fully fledged CMS! 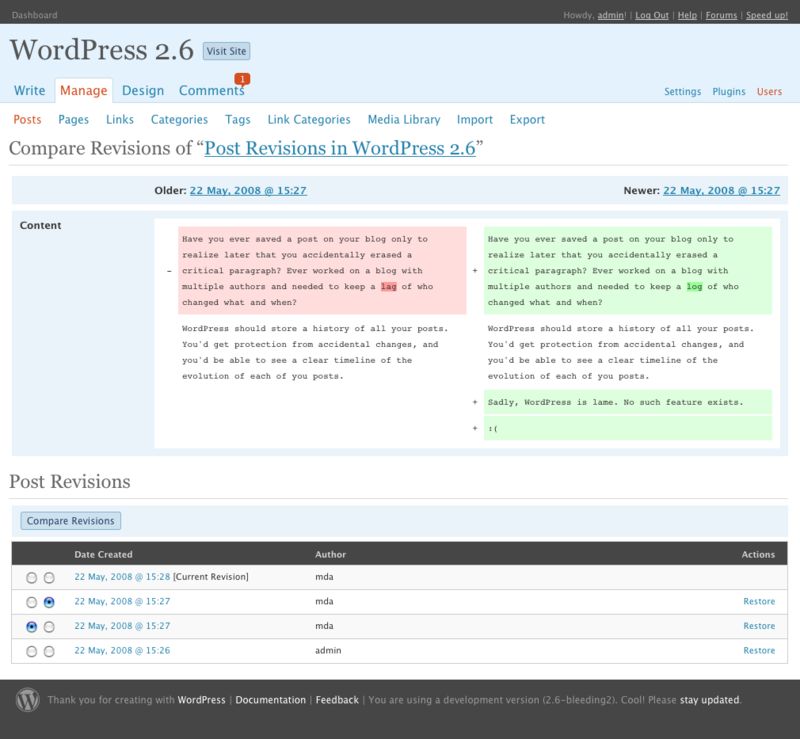 Revsion control makes WordPress viable for a whole new market. Nice one!